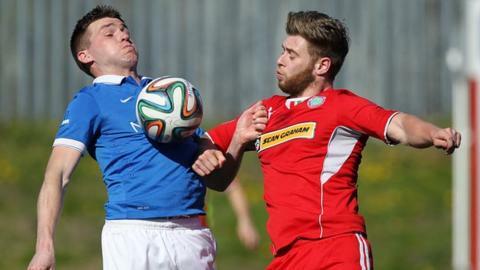 County Antrim Shield holders Cliftonville face a testing trip to Linfield in the second round of this year's competition. Crusaders will entertain Ballymena United at Seaview, while Carrick Rangers will be at home to H&W Welders, who beat Glentoran on penalties in the first round. Championship sides Ards and Larne will meet in the other tie. All the games are scheduled to be played on Tuesday 27 October.